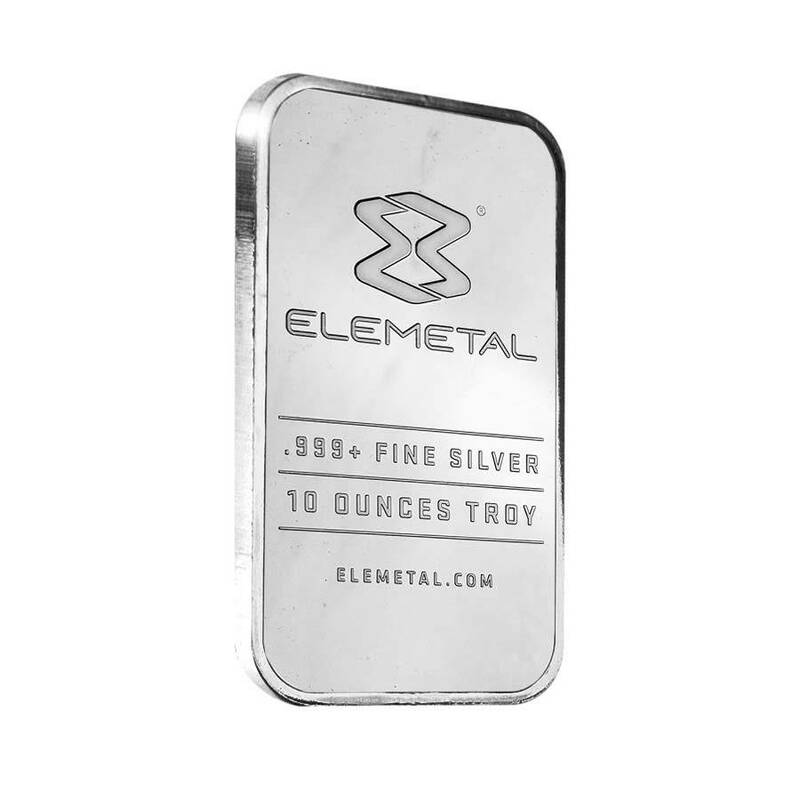 The Elemetal Mint 10 oz Silver Bar .999 Fine is a great opportunity to add value and status to your portfolio. This silver bullion offers a fantastic and inexpensive option to diversify and stabilize your portfolio. 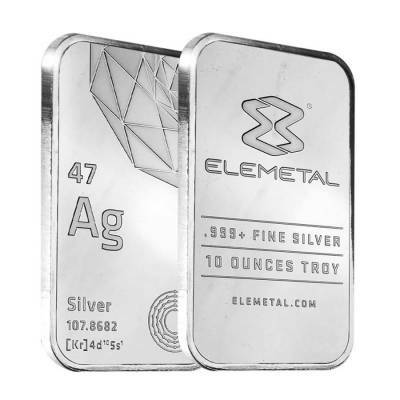 These impressive Elemetal Mint 10 oz silver bars are produced with advanced manufacturing technologies and the highest standards. Contains 10 oz of 99.9% fine silver. Approved to be added to IRA. Available in different size options which make it desirable for any category of buyers. Obverse: Features the Elemetal Mint logo, letters “E” and “M” joined into the infinity symbol, fineness of the product (.999 Fine Silver), actual weight (10 troy ounces), and website address (elemental.com). Reverse: Displays details of the atomic structure of silver - atomic number, “47”, atomic mass, “107.8682”, atomic symbol, “Ag”, “Silver", and the electron configuration “[Kr]4d105s1.”. In addition, you can notice the diagram of the electron on the bottom right part of each bar. Each bar comes in a protective and convenient mint plastic seal..
Why buy the Elemetal Mint 10 oz Silver Bar .999 Fine? These bars are beautifully polished and have an attractive outlook. Perfect condition. Uncirculated and new. Desirable to be re-sold and traded on the marketplace. Produced by the Elemetal Mint, a trusted brand in the precious metals industry. 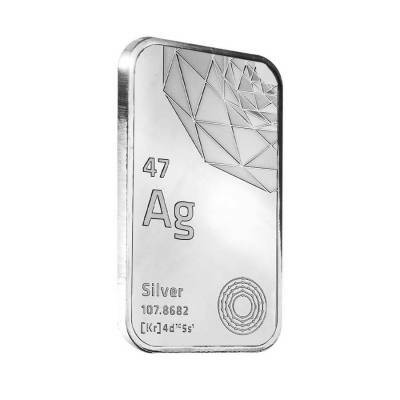 Create your own protective portfolio by purchasing this amazing Elemetal Mint 10 oz Silver Bar .999 Fine. The surprising fact about this item that due to real popularity on the market, it still inexpensive for all categories of buyers. Don’t miss your chance to own such a great item with Bullion Exchanges!